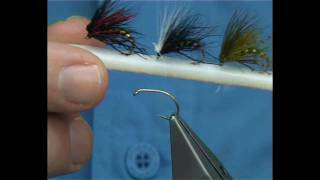 Dry fly hackle technique #1. After having many questions regarding my hackling techniques here is my way of tying a perfect 90 degree traditional style dry fly hackle that will produce a perfect hackle every time. 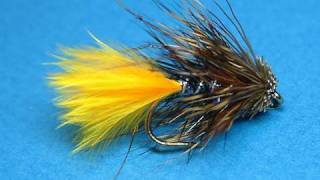 Tying the Sunburst Kate McLaren (Muddler) with Davie McPhail.